Bethany started this company with her husband Chris because of her love of the outdoors, animals, and physical fitness. Growing up on a farm in Illinois, she found a hobby in training herding dogs at the young age of 9. That hobby soon led to a business showing dogs. Her first win was the IL State Hi-scoring Obedience Title. This led to showing in Basic Obedience where she put a CD (AKC, CKC) and an CDX (AKC, CKC) on several dogs. During her years showing she also put several Grand Champions on different breeds, as well as 6 Showmanship medals with Australian Shepherds. Bethany worked under an IACP professional for 4 years before starting her own business as well as working as a vet assistant. Then, as she worked with more and more dogs with anxiety and aggression, she quickly found that she was very limited in how she could help dogs without branching out and seeking other methods and tools from clickers to ecollars. 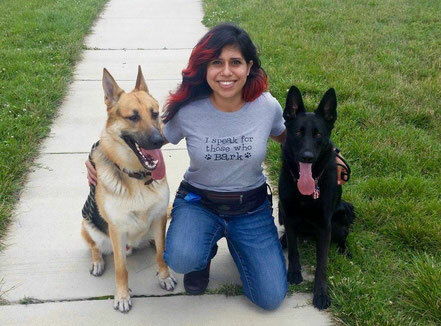 She quickly found that to successfully help dogs with any issues she needed to learn dog psychology and through behavioral training with positive re-enforcement methods, training tools, and understanding the pack mentality, she has succeeded in working with breeds of all sizes and ages. For 10 years she has worked in S. California to restore balance and peace in the pack. 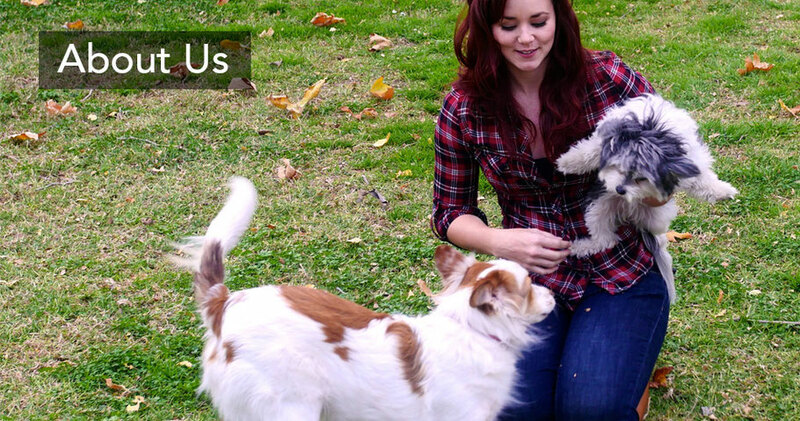 Maxine Revoir: Maxine is a professional trainer at Ruff Beginnings Rehab, specializing in behavior modification. She has been training dogs professionally since 2011, but began working with animals of all sorts at a young age with her grandmother who was a freelance dog walker and pet sitter. She would help her grandmother out after school, as well as during the summer and winter vacations. Her passion with animals led her to train friends' dogs, her extended family's dogs, and any other dogs she was around, just for the fun of it. She's even trained her own cats! She later went on to manage a small company with a focus on dog grooming during her time in Arlington, Virginia while her husband was in the military. Having grown up with a wolf-hybrid, she learned from an early age to conduct herself in a certain manner with animals that gives her an intuition and edge in behavior modification and dog psychology. Her goals are to keep pets in homes, get them out of shelters, and to one day open her own rescue and rehabilitation facility for difficult and handicapped pets that would otherwise be euthanized in city shelters. She has helped several people to find balance and peace in their life with their four-legged counterparts, both cats and dogs. With her lifelong passion for animals, Maxine is an essential member of the Ruff Beginnings Rehab team, mentoring under Bethany, the company's founder. 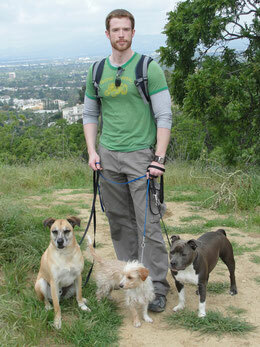 Chris Davison: Chris moved to California as a writer and actor after meeting his wife Bethany in NYC. Growing up on a farm in Georgia, he is no stranger to hard work and animals. His love of animals grew as a child after he met his first dog, a basset hound named Bo who would eat his Grandma’s biscuits and gravy-and still lived to an old age! Since then, he hasn’t been without a dog. He is an essential part of RBR, especially since many dogs have specific issues around men. We couldn't do it without him! Alysa has been working with trainers for several years with her own dog and that is how she met Bethany in 2016. She is on her own journey with her dog with behavioral issues and wanted to learn more about how to help other people in the same way. Since then she has been working with Bethany to further grow her business with a variety of tools and approaches. Ruff Beginnings Rehab has trainers come in and work with the dogs in order to learn, as well as give the dogs a more well-rounded and comfortability in working with different people when they are ready.